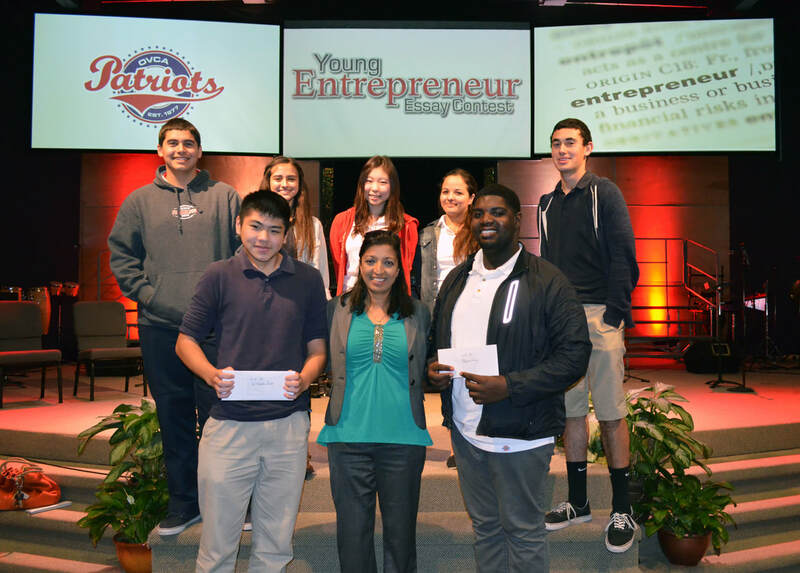 OVCA encourages the entrepreneurial spirit in our students, whether it's through our personal finance and economics classes or the Young Entrepreneur essay contest. This year we have partnered with Junior Achievement San Diego in several grade levels to continue to build on our students understanding of the economy and finance and to kindle their desire to lead in business. VISION: Since 1950, Junior Achievement of San Diego County has provided life-changing programs to more than 954,000 youth—in the classroom and after school—to foster an understanding of how the “real world” works. To ensure youth are prepared for their future, JA teaches them how to get a job, start a business and how to manage money. During the 2016/2017- school year, JA of San Diego served 80,344 students, K-12, including 18,000 5thgraders at the popular McGrath Family JA BizTown. With the launch of Mission Fed JA Finance Park, JA’s goal is to serve nearly 81,500 youth from 38 school districts during the 2017/2018 school year. JA programs reach every ethnic and economic demographic. For many students, the JA experience is a major highlight of their academic year. More than 6,300 volunteers annually, including 48 board members, a staff of 40 and a budget of $4 million help to keep the JA experience relevant for youth. Through the JA Company Program, teams of OVCA high school students will be working together to create a business plan and launch a real, full-fledged business. Students will be working through an online virtual curriculum from JA to prepare them for the task. JA may provide limited funding to these teams for various start up costs. Once the businesses are launched, these teams will compete against other teams from the San Diego JA chapter for a shot at an all expense paid trip to Washington, DC, to compete nationally. We need business mentors to assist these teams in this process. If you are a business owner/entrepreneur and you are interested in volunteering through JA San Diego to assist OVCA's Company Program teams, please complete the following interest form.